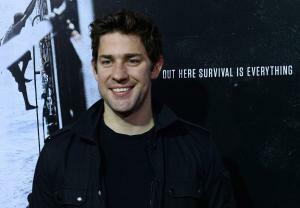 LOS ANGELES, April 13 (UPI) — John Krasinski is reportedly in talks to join J.J. Abrams’ upcoming sci-fi thriller, God Particle. According to Variety, Abrams is set to produce the project under his Bad Robot film banner. The long in-development film is set to follow a team of astronauts in the near future who make a startling discovery during a mission out in space. Krasinski would star as one of the astronauts alongside David Oyelowo and Gugu Mbatha-Raw. Directed by Julius Onah, God Particle is set to start production soon with a Feb. 24, 2017 release date. The Office alum was last seen in Michael Bay’s Benghazi drama 13 Hours and starred and directed in Sundance family drama The Hollars.